The exact date is predicted to be May 13, 2017 – which is the 100th anniversary of the visitation of Our lady of Fatima. The Catholic clairvoyant, who lives in Texas, United States, claims to have predicted that Trump would win the US election back in 2015, according to the Daily Star. 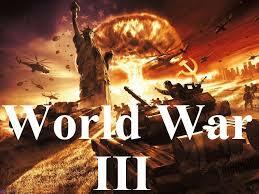 Villegas is convinced that WW3 will break out on the day ‘Our Lady’ – another name for the Virgin Mary – visited Fatima in Portugal for the first time. This is said to have been on May 13, 1917 and was allegedly the day that ‘Our Lady’ warned people that if Russia did not convert to the Catholic faith, God would use the country to wreak havoc on the world. However, he warned that there we will be several ‘false-flag’ events which will take place between April 13 and May 13, and will see attacks carried out to spark conflicts based on false information. These will reportedly involve Syria and North Korea.